Bruno Moinard (b. 1956) is one of the leading interior architects working today. Based in Paris, his work can be seen in the Cartier stores in New York, Paris, and Milan; the Château Latour vineyard in Pauillac; Veuve Clicquot’s Hôtel du Marc in Reims; boutique hotels such as the Chengdu in China and the Plaza Athénée in Paris, and the Grill at the Dorchester in London. Moinard has also stamped his signature on sumptuous apartments, mansions, and homes worldwide. His style—minimalist and warm, somber without being austere, elegant and timeless, and always focusing on light—offers luxury without ostentation. 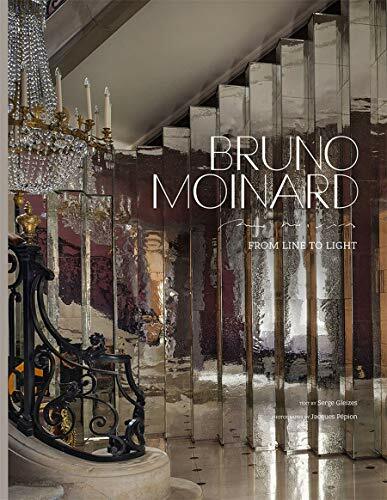 Here, in stunning new photographs and magnificent sketches, his work is presented in five sections: light, materials, luxury, blueprints, and furnishings, to inspire anyone looking for elegance and fresh ideas for interiors. Serge Gleizes is the author of several books, includ­ing Abrams’ Pierre Frey. Jacques Pépion is a French interiors and architecture photographer.